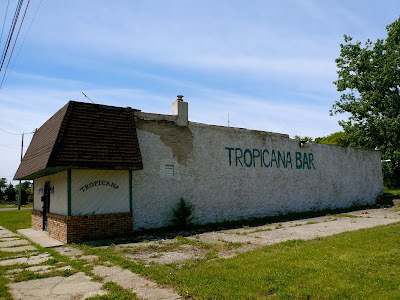 The Tropicana Bar belonged to my late Uncle and we all miss him as well as this bar which served as a place for friends, family, factory workers and all to meet and have a good time! Thank you for the photos and for the memories FlintExpats! Just wish I could post some shots of the bar when it was open! My Grandad's beloved Tropicana Bar. I remember going in during lunch time and meeting all the good folks, playing Al B. Sure on the jukebox, and getting to play pool for free. Wonderful place. If I come across any pics geewhy, I'll try to pass them along. 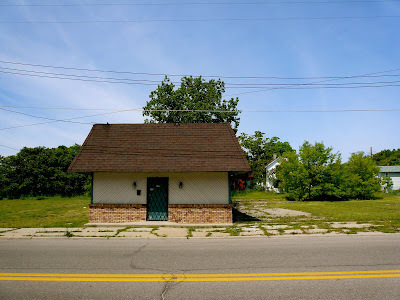 I drove by that place thousands of times - but now, after living away from Flint for well over two decades, I'm drawing a complete blank: where is this place located again? It's on Industrial Ave. between E. Jamieson and E. McClellan.